Yesterday, Donald Trump Jr., in an attempt to undercut a New York Times story that was minutes away from being published, tweeted out images of an email thread in which he agreed to meet with a “Russian government lawyer” who promised to give him damaging information about Hillary Clinton. The emails were sent in June 2016, and the desire to share the information was described as “part of Russia and its government’s support for Mr. Trump.” Shortly after Trump Jr. sent his tweets, the Times published the same emails. When it originally started, it was back in July 2016, right around the time of the Democratic National Convention in Philadelphia. Of course, this was on the heels of the DNC hack and the emails being released. I had heard rumors that this was some sort of organized thing between the Trump campaign and Russia. I just followed up on sources, kept finding people who wouldn’t go on the record, kept finding people who were more than happy to give background information or lead to other sources. Again and again, it was just people who wouldn’t go on the record. They just wanted to remain anonymous and give background information. So I basically followed those leads for the last year, finding a lot that didn’t bear any fruit. I was a ways off. This was a thing that felt like it was going to go on for the rest of the time Donald Trump was in office. I have a book coming out that touches on the beginnings of it, though. It was one of those things where you put in the calls, you get told no on stuff, and you just hope Bob Mueller finds something, or The New York Times or The Washington Post, who have done amazing things on this stuff. The investigation of this, especially when you’re not at a big house, it feels like a hobby. It feels like being a HAM Radio operator in your basement. It’s something I did for a year, and to just have it land in the lap of the American public is bizarre. Not only is Sexton revealing himself as a bit of a fraud here, he’s demonstrating a severe misunderstanding of how these emails became public. They did not simply “land in the lap of the American public” because Trump Jr. decided to tweet them. They were discovered by hardworking journalists at The New York Times—precisely the kind of reporters that Sexton falsely presented himself as in his viral tweets—and were going to be made public by those journalists until Trump Jr. attempted to take the air out of their scoop. Why does any of this matter? Because we are living in a golden age of viral grifters, particularly those who traffic in political commentary. Whether it was his intent or not, Sexton fueled the recent trend of internet-savvy people play-acting as Resistance Journalists being mistaken for reporters who are doing the actual work. The Trump administration has so far functioned like a giant chum bucket to these people, each day spilling another few gallons of blood and bone to be consumed by those on a quest for micro-celebrity. 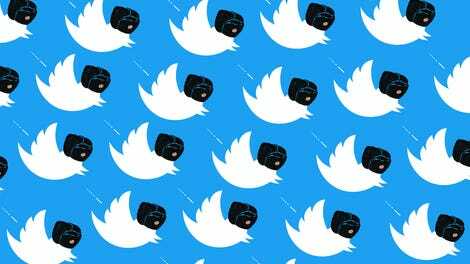 All it takes now to become a well-known political commentator is a few tweet storms, a bit of shamelessness, and the ability to strike certain poses of sardonic authority. The irony is that people like Sexton, who use various flashpoints of political hysteria to rise up the hierarchy of The Resistance, have a lot in common with the man they are supposed to be resisting. They’re very good at attaching their names to someone else’s success, all for the purpose of selling something. Ignore these people. Put your faith in reputable news outlets like, uh, Deadspin.